FACT CHECK: Did Fox News Display a 'Treason for the Season' Graphic? Did Fox News Display a ‘Treason for the Season’ Graphic? 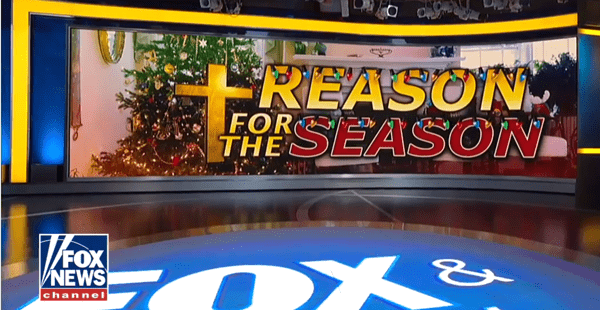 Some viewers saw the words "Treason for the Season" in a Fox News Christmas graphic due to the placement of a cross. Fox aired a holiday graphic reading "Reason for the Season," which some viewers read as "Treason for the Season" due the placement of a cross. This graphic was originally aired during a “Fox & Friends” segment on 10 December 2017. The “Reason for the Season” graphic referred to a recent poll which reportedly found that most Americans wanted to put Jesus back into Christmas. The Blaze. 8 December 2017.